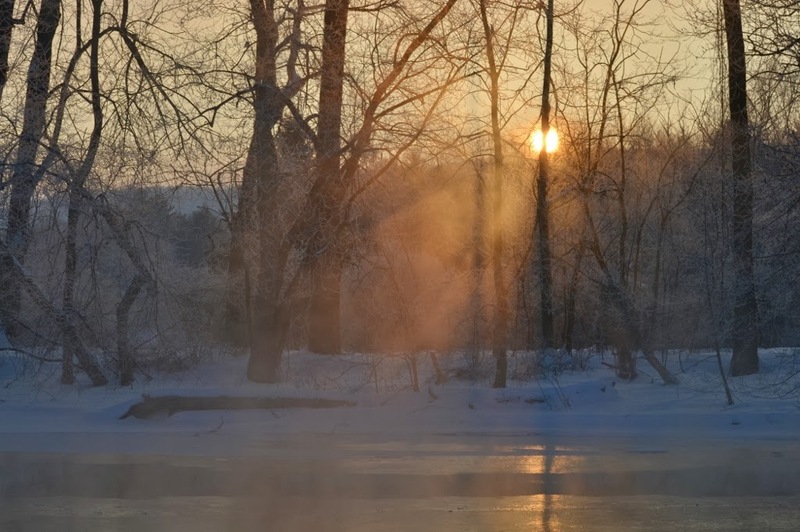 A beautiful hoar frost surprise is hiding out in this cold sunrise. This morning was another very cold morning with temperatures down near zero (F). With a little more light it would be easier to see a fog of water vapor rolling up from patches of open water. 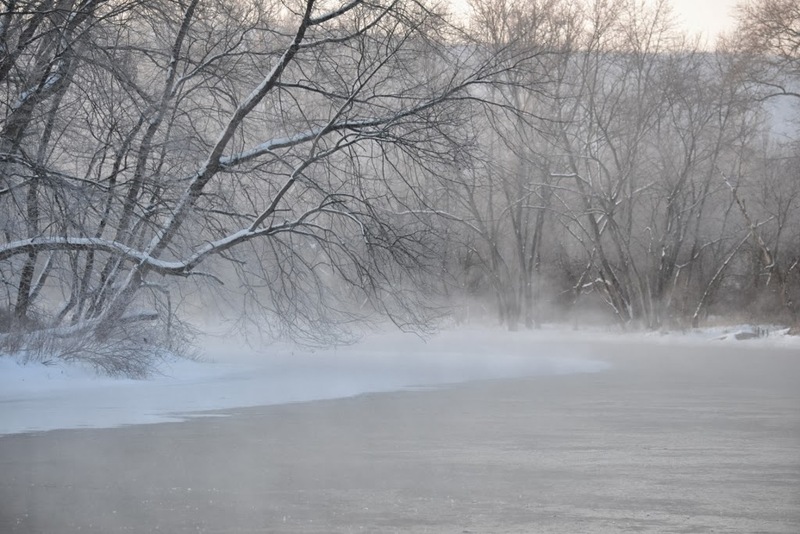 This swirling mist rolls off the open water and drifts down the river and floats through the trees. 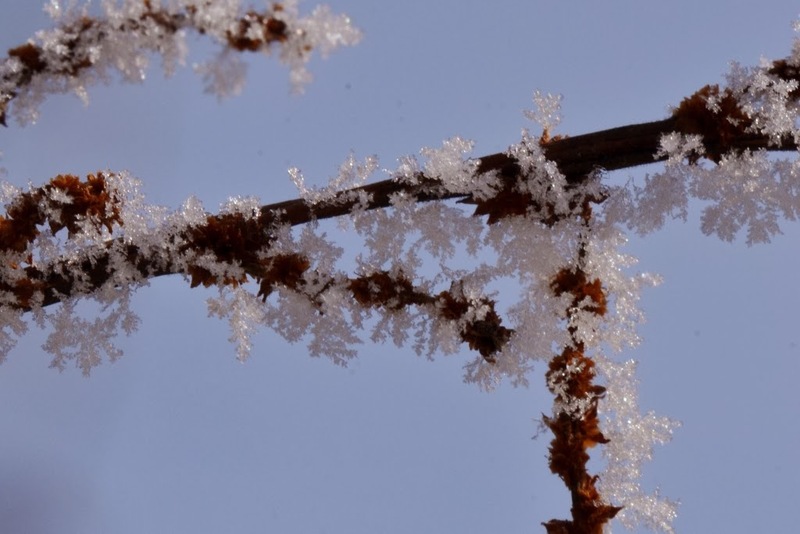 I took these photos of hoarfrost, or rime ice, during some of the numerous cold snaps we had this winter when temperatures were at or below zero. 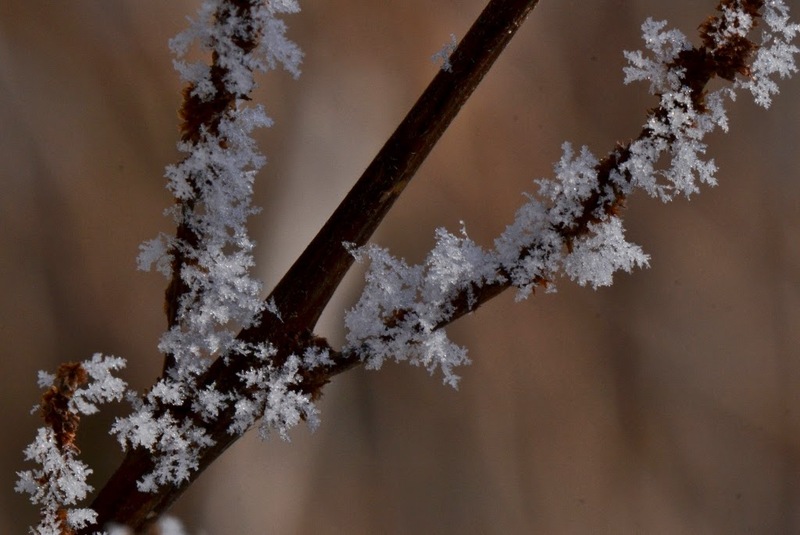 This morning was just one of the many times this winter when the moist air drifting through the frosty branches of the trees ended up freezing as a beautiful hoarfrost coating. on everything. 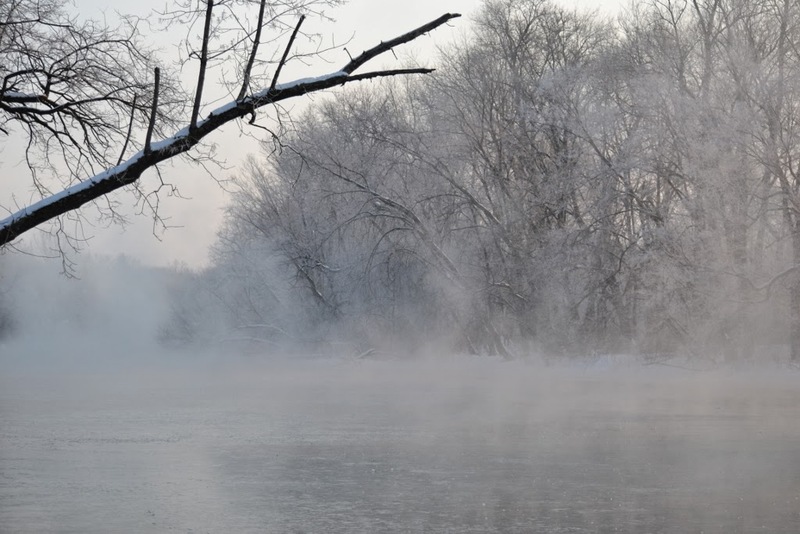 Here is a photo of the water vapor fog and the hoarfrost-coated trees (looking down river). Here is a photo looking up river. 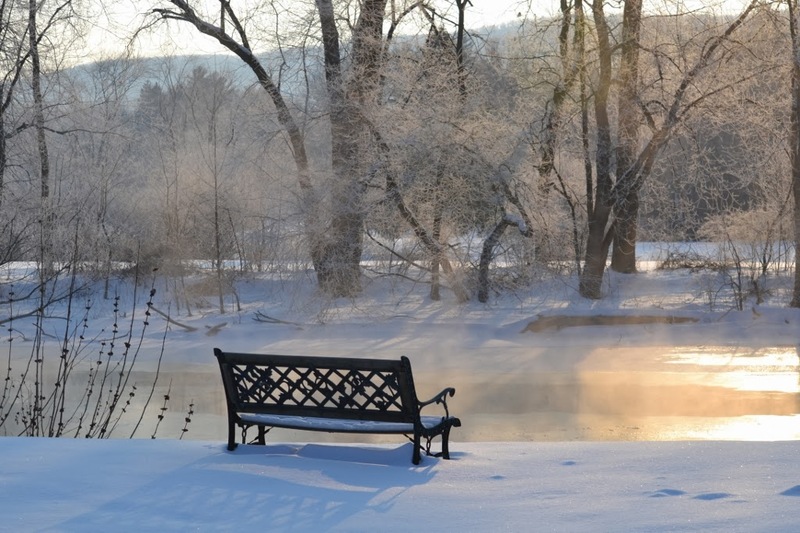 Hoarfrost sure can make the scenery beautiful. The same can be said of wherever the frost crystals form. 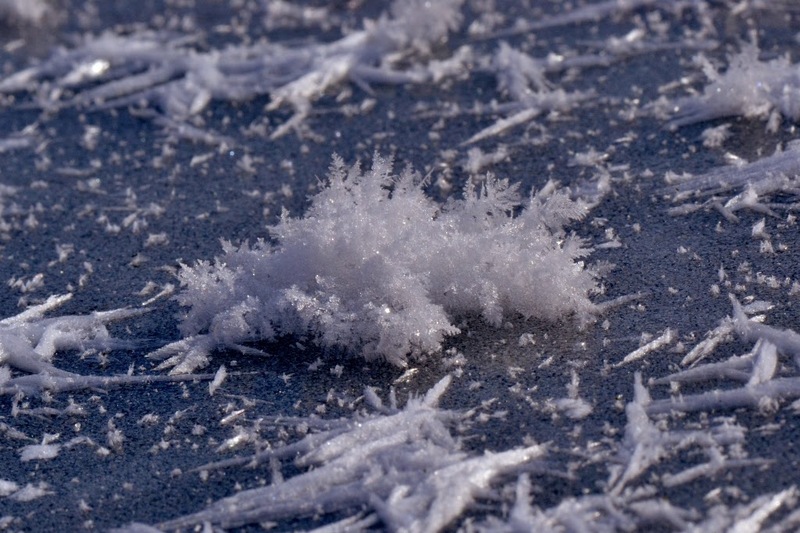 ... forming ice needles and delicate, fern-like ice crystal formations on weeds, branches, etc.... even on the river ice. 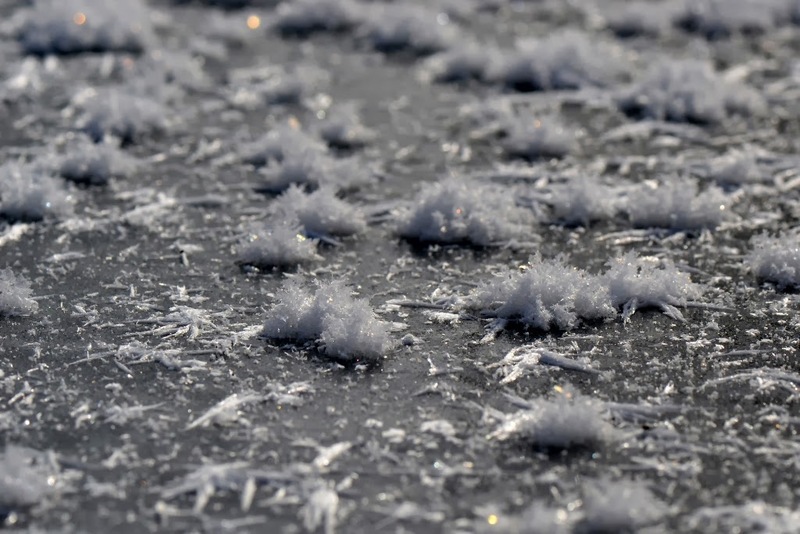 From a distance the rime ice/hoarfrost looks like many cotton balls scattered across the ice. 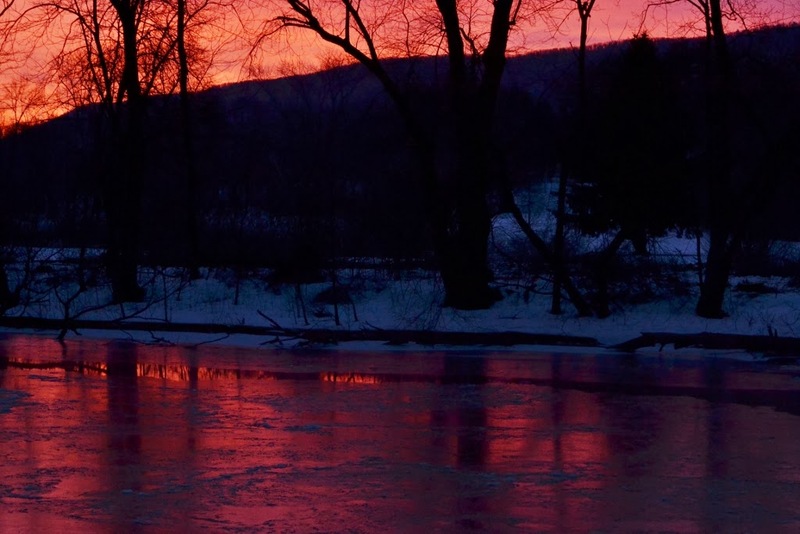 Ahhhh, on bitter cold mornings sunrise reveals beautiful hoarfrost designs coating everything along the river. Perhaps the only beauty for the birds is that they survived another cold night... and, now today, it looks like they survived winter's last gasp. Oh Dana these are lovely. My favourite is the last one with the Cardinal. When I saw the beauty of that moment (from my desk), I shot the photo through the window and a couple of screens. 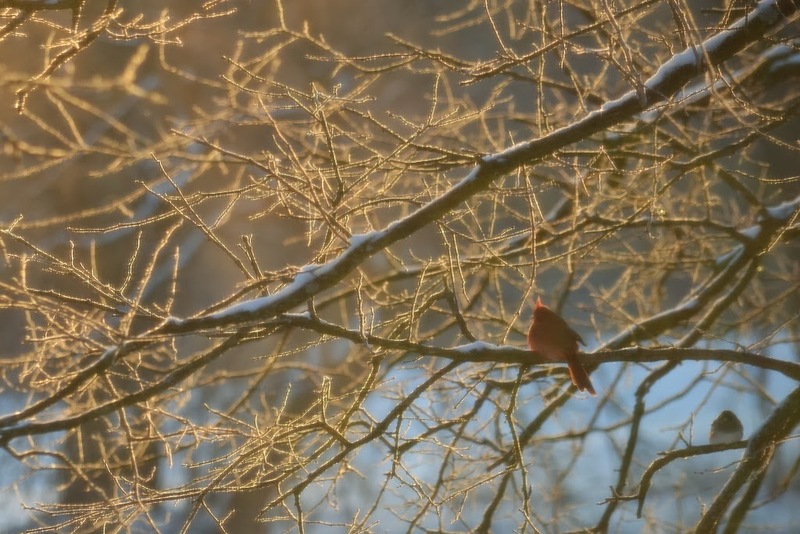 Otherwise, I would have disturbed the cardinal and ruined the fleeting moment when the rising sun, the fog, the hoar frost, and the cold cardinal could be framed to capture the essence of a cold winter morning. The window screens added a softness, or something, to the photo.